Anyone who has ever prepared Thanksgiving dinner for a crowd will understand what I mean when I say that time has a way of disappearing that day. One minute you are popping out of bed with a list of things to do, and then next you're rushing to get dressed while the first guests are already ringing the doorbell. That’s why I’ve come up with five incredible Thanksgiving side dishes that each take only 15 minutes or less of active time to prepare. Whether you're looking for something traditional or craving a dish that's a little spicy and exciting, I'm sure you'll find something in this list that you like. Just a few quick minutes in the kitchen and you can let the oven or stove take over while you go and try to find those last two missing napkin rings. Eugene and I are a little bit obsessed with this dish and it’s a regular on our weekday dinner menu. Sometimes, we don’t even put it on a plate; we just plop the baking sheet right on the coffee table and go to town with our forks while watching The Office. You can prep these ahead of time on Thanksgiving. Simply trim and quarter the sprouts, toss with some olive oil, walnuts, and diced bacon then spread out on a big baking sheet. When the turkey comes out of the oven, crank up the heat to 400, then pop these in while the turkey rests. Both will be ready to serve at the same time. 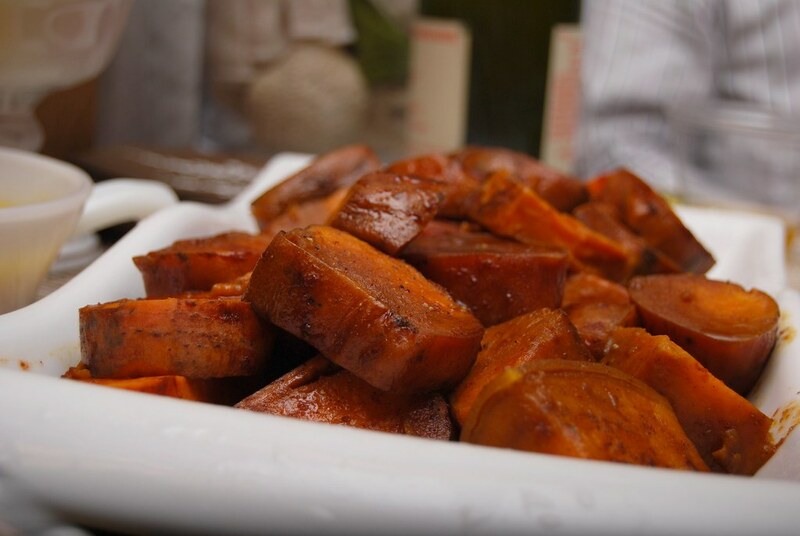 Anyone who loves Southwestern flavors or a little spice will fall madly for these sweet and spicy sweet potatoes. I save time by skipping the peeling. The peel on the sweet potato is completely edible and actually packs a great nutrient punch. To prepare, just scrub them well and slice into thick one-inch rounds. Layer these into a baking dish then drizzle with olive oil and pour in the braising liquid: a blend of cola (Coke, Pepsi, or Malta), chipotle peppers in adobo sauce, plus a few pats of butter. Cover tightly with foil then pop in the oven alongside your turkey for 35 minutes. It's very late in the season, but in most places you can still find some lovely plum tomatoes. 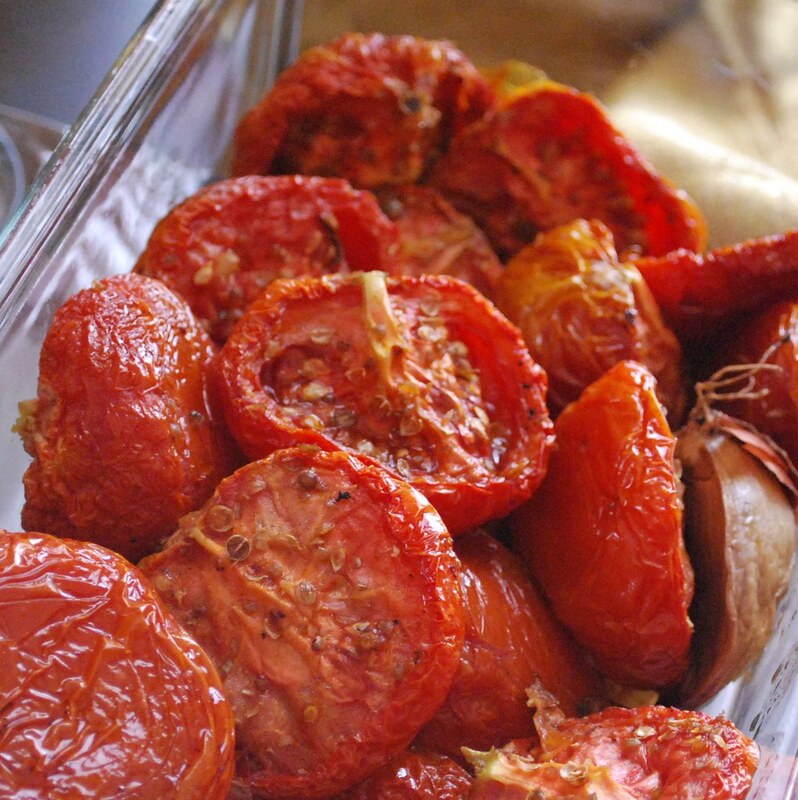 Drizzled with olive oil, crushed coriander, garlic, and whole shallots, and roasted in the oven for an hour, the tomatoes come out sweet and dripping with rich and flavorful juices. This autumnal take on the classic coleslaw would be a perfect addition to your Thanksgiving table. Unlike the summery version that's heavy with mayonnaise and...well...basically it's just mayonnaise, this one gets its creaminess from a warm and tangy dressing redolent with the flavors of mustard and and apple butter. Toasted pecans add a lovely crunch and like all the best Thanksgiving sides, it can be prepared well ahead of time. Get the recipe here. Still need a great cranberry sauce recipe? Try my Spiced Cranberry Orange Sauce. Still trying to decide the best way to cook your turkey? Try my Perfect Thanksgiving Turkey for the juiciest turkey breast you've ever tasted. Looking for Thanksgiving dessert ideas? Come back tomorrow because that's next on the agenda! 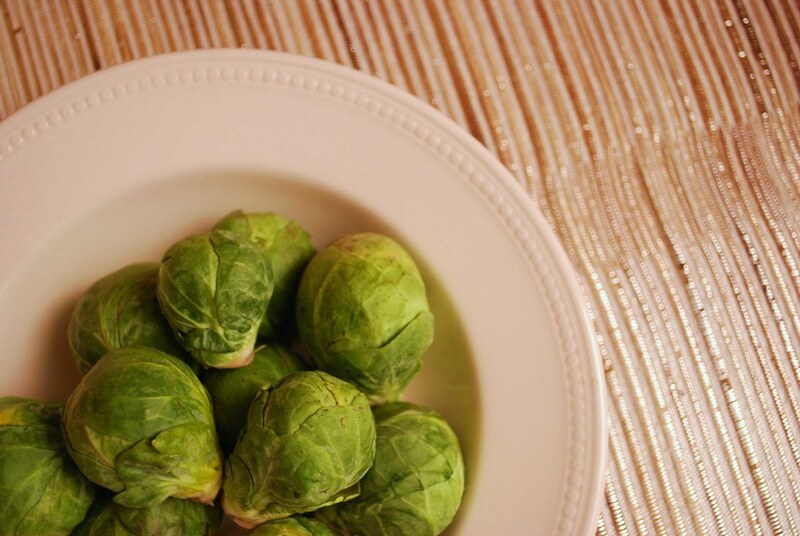 First prepare the Brussels sprouts: trim off the stems and then quarter. 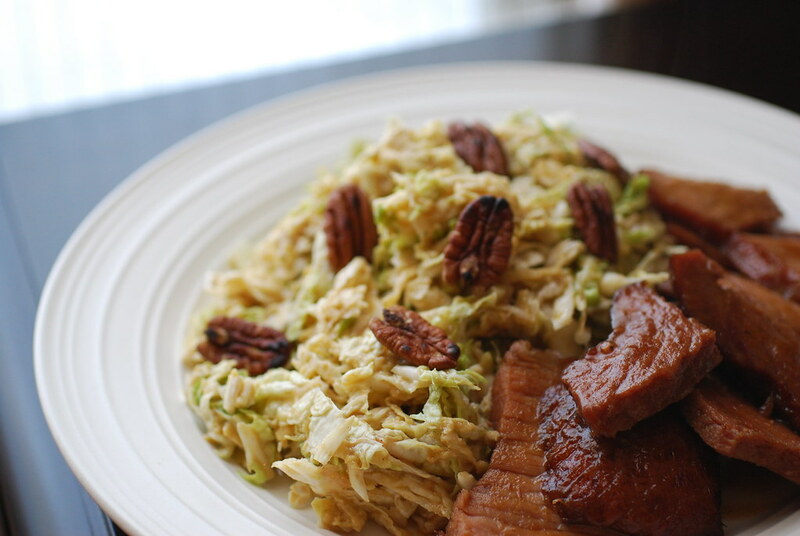 Combine the Brussels sprouts in a large bowl with the walnuts and drizzle liberally with olive oil. Use your hands to mix and maker sure they are all coated well. Spread the Brussels sprouts and walnuts in a single layer on a large baking sheet. Scatter the bacon pieces evenly throughout the pan, then season with kosher salt and black pepper. Roast in the oven for 20-25 minutes or until the sprouts and bacon are crisp. 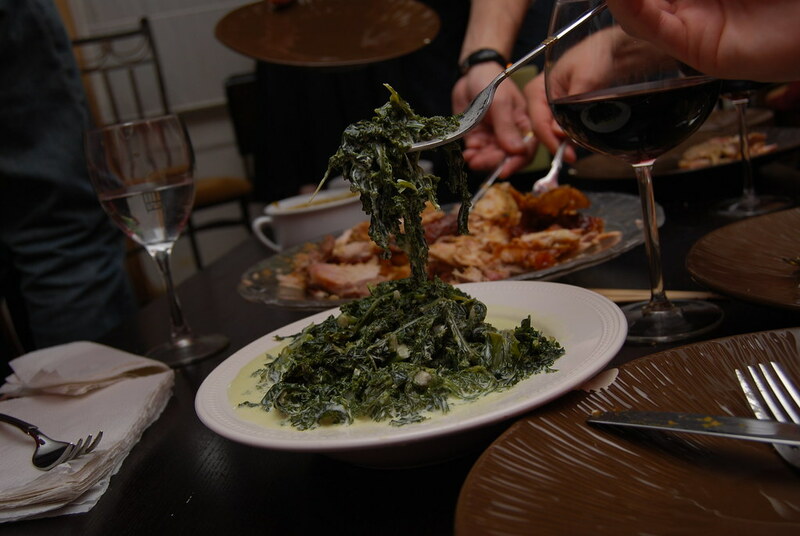 Blanch the kale in salted boiling water for 2 minutes. Drain, then return to a medium size pot or saute pan. Add the butter, cream, and nutmeg and cook over medium heat for approximately 5 minutes or until has reduced and thickened slightly. Season to taste and serve. 12 oz Malta (can be purchased in the Latin aisle in most major grocery stores). Use cola or cream soda as a substitute. Look for brands made with real sugar as they cook down better). 1. Scrub the sweet potatoes well, then dry and slice into thick 1" rounds. Layer into a baking dish. 2. In a large bowl, whisk together the soda, broth, chipotle peppers, and adobo sauce. 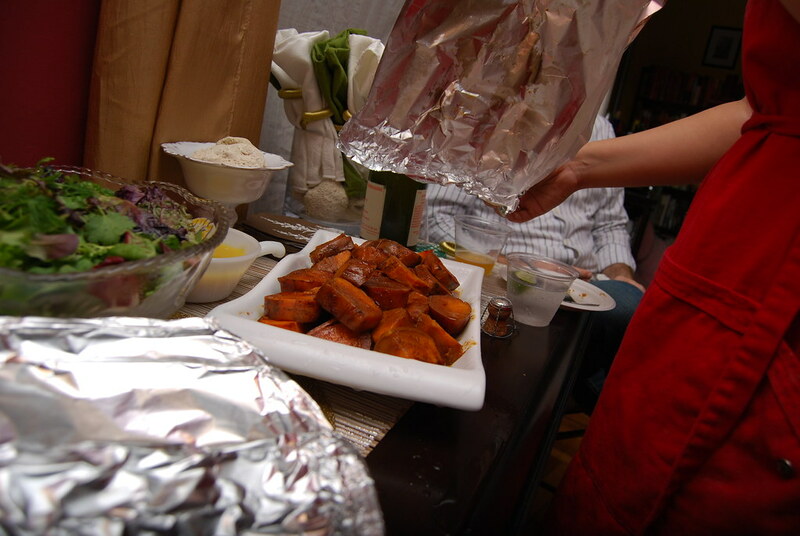 Pour over the sweet potatoes in the baking dish. Dot with pats of butter then sprinkle with salt and pepper. 3. Wrap the baking dish tightly with foil and bake for 20 minutes, remove from the oven and flip the sweet potatoes then return to the oven to bake for another 15 minutes. Check for seasoning and serve. 1. Cut each tomato in half and spread in a single layer in a baking dish. Slice the shallots in half (leave peeled) and scatter into the dish along with the crushed garlic cloves. 2. Drizzle generously with olive oil. Sprinkle with crushed coriander, thyme, Kosher salt, and black pepper. 3. Roast in oven for 1 hour. Can be served hot, at room temperature, or cold. Oh that's great! I'm happy I could help. these all look great- but I especially love the idea of spicy sweet potatoes. I know I won't be able to persuade my family to let me make them for Thanksgiving because praline topped sweet potatoes are a mainstay for New Orleanians but I will certainly be making them for my own little family! Thank you for these fabulous ideas!